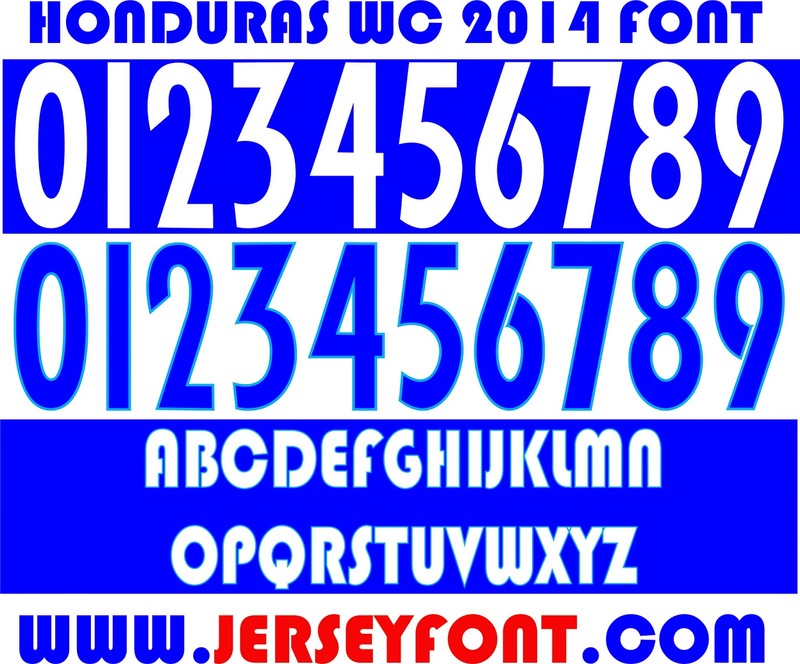 I believe that this post is the only post that contain Honduras World Cup 2014 Jersey font for FREE!!! This font came lately because I couldnt find any resource from internet until I see dekabreak post on Pesedit forum (credit for him). I dont know who is the real font maker but as usual please use this font for non commercial only. Im only give vector number. If you want letters maybe you can see bauhauss 93 ttf file. Just search it on Google. Enjoy. I couldn't open the file by Coreldraw soft. I think file was broken when you uploaded. I'll try to download realmadrid font but, that is doesn't work.